Facebook has a user base larger than the population of China! With 1.49 billion members worldwide and 22 billion ad clicks per year, Facebook is providing businesses with the largest advertising opportunity since sliced bread. So yes, your audience is on there somewhere – it’s just a matter of finding them. 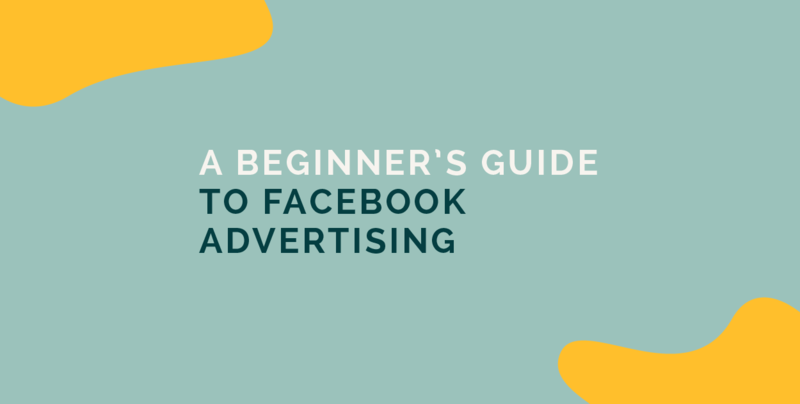 There are two different options for creating a Facebook ad – the Facebook ads creator and the Power Editor. We recommend using the Ads creator if you’re newer to the advertising platform. It lacks some of the functionality that Power Editor has, but it’s much simpler to wrap your head around when starting off with your first campaign. You should be focusing on an objective that is specific to the advertising outcome that you want to achieve. There are various objectives to choose from when setting up your campaign. Each with a different outcome in mind. It’s important that the objective you choose is done so on the campaign level. If you decide to create a campaign to drive clicks to your site, all of your Ad Sets and advertisements must also target that same goal. Once you’ve set up your Facebook campaign, you need to set up an “Ad Set”. The Ad Set lives directly underneath the campaign. This is where you set the budget of how much you want to spend. A budget is set on a daily or lifetime basis, allowing you to pick your ad start and end dates. The exact cost associated with your ad being shown to someone is determined by the overall amount spent and the cost of each result you get. This is done through something known as a bid strategy. If you’re not sure what to bid, Facebook can automatically bid for you with the intent of spending your budget evenly throughout your ad’s run time. Pretty nifty right? Avoid spending a ton of time and money creating an amazing ad before taking the time to think about your audience. A great start to doing this is just popping onto the Insights tab on your Facebook Business Page. Click “people” on the left and be amazedby Facebooks ability to compile an audience overview using data from people who have engaged with your page up until this point. If you want to focus on a different audience, take the time to research this audiences’ demographics and pinpoint who it is exactly that you want to speak to with your ad in mind. Just like that, you’ve got a head start in targeting your audience in the ad set process. Facebook has this fantastic ability to segment an audience! Targeting is done on the individual advertisement level which lives under the ad sets. This can be found under the campaigns tab. Facebook gives you the ability to upload your own information in order to make Custom Audiences. In our opinion, this is most effective as this audience is built from customer data that you already have on hand – or can easily get. This makes it easier to reconnect with the people who have already shown interest in your business. You can then take these Custom Audiences and have Facebook create Lookalike Audiences based on the demographics they all share. This is a great way to reach new people who are likely to be interested in your business because they’re similar to your best existing customers. Follow this Facebook guide for easy steps on how to create a lookalike audience. There are three main locations that you can choose to display your ad, each with their own pros and cons. Now that you’ve decided which users you want to target and what you want them to do, it’s best to think of where to place your ad. The News Feed post is the most prominent of the Facebook ad placements. These ads show up seamlessly in a user’s news feed, along with the content that they see from their friends and pages they follow. Facebook news feed has recently changed its core towards becoming a platform that helps users have “more meaningful social interactions”. This has extended to the way in which ads are shown on the feed, encouraging businesses to create ads with a more human/conversation element instead of a hard-sell. Yay, go Facebook! As most people know, a good amount of the world’s internet traffic is shifting towards mobile devices. With this in mind, make sure that your company has a mobile-friendly site. You wouldn’t want to pay to drive traffic to your site and your audience has a poor user experience. These ads sit directly beneath the “Trending” topics sectionon on the right-hand side of the screen . This placement is only available to show to consumers on a laptop or desktop. Right column ads typically have less expensive clicks and conversions, appear smaller and look more like a traditional ad. We recommend delving into all three types of Ad Placements, allocating budget to each kind to ensure you’re reaching all users. In the beginning, view this as a test process – you need to test out different placements to see what your audience responds to most and then focus on those for the best results! Once you have driven your fans to your page, it’s equally as important to continue engaging with them. While it may be nice to gain some quick sales with a few advertisements, many sales cycles require more relationship building. So build away and don’t let the ever-changing platform and its advertising features leave you feeling overwhelmed. Remember where you started, the reasons why, and continue to build your brand (and your ads) with this drive and determination. You will be set for gold!